By Lauren Moore Editorial Assistant Despite what Bambi might have you believe, hunters are not the enemy. Local hunters are utilizing their sport to give back to the less fortunate through Hunters Helping the Hungry, an organization that provides venison, or deer meat, to a local food bank to be distributed to low-income families in the area. Hunters Helping the Hungry was founded in 1997 by Les Giese, Mike Aversa and Joe Schultz with two goals in mind: combating the overpopulation of deer in the area while providing the less fortunate with a healthy source of nutrients. Schultz, a member of Immaculate Conception Parish, Annandale, said he recognized a need while helping less fortunate families through church groups. “I could see that needy families could utilize the protein [in venison]. We have the available resources, so why not utilize them and help the community?” he said. So far, Schultz donated two deer this season. He has been hunting for more than 40 years, and has been “from Saskatchewan to Africa, and everywhere in between.” When hunting abroad, Schultz donates all of the meat he hunts to the locals in need. 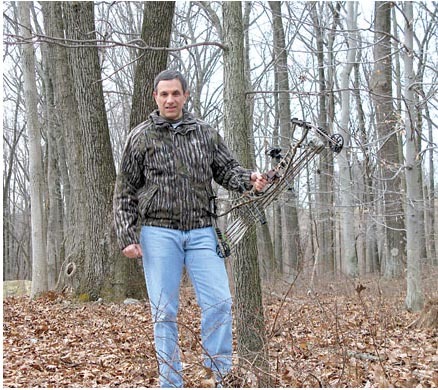 By Warren Reporter November 08, 2009, 5:34PM “It’s hunting season which is our chance to feed many hungry people in New Jersey but we can’t do it without the public’s help,” says Les Giese, co-founder and Board Trustee of the group Hunters Helping the Hungry. The Hunters Helping the Hungry Program was developed by Giese, of Clinton Township (Hunterdon), and other hunters during the 1997-1998 hunting season to help provide needed protein for local food banks while addressing the overpopulation of deer in our community. Ten deer (approximately 500 pounds of venison) were donated that first season. Close to 6,000 pounds have been donated in 2009 and in 2008 the total was 12,000 pounds. Since the program’s inception, hunters have donated over 219,000 pounds of venison to HHH providing approximately 876,000 servings of protein to those in need. “But we can’t pay the butchers to process the deer without donations from the public,” says Giese. Hunters Helping the Hungry Need Your Help! Les Giese Reader Submitted Lebanon—“It’s hunting season which is our chance to feed many hungry people in New Jersey but we can’t do it without the public’s help,” says Les Giese, co-founder and Board Trustee of the group. The Hunters Helping the Hungry Program was developed by Les Giese and other hunters during the 1997-1998 hunting season to help provide needed protein for local food banks while addressing the overpopulation of deer in our community. Ten deer (approximately 500 pounds of venison) were donated that first season. Close to 6,000 pounds have been donated in 2009 and in 2008 the total was 12,000 pounds. Since the program’s inception, hunters have donated over 219,000 pounds of venison to HHH providing approximately 876,000 servings of protein to those in need. “But we can’t pay the butchers to process the deer without donations from the public,” says Giese.